I’d replace ‘discard’ with ‘let go of’. No doubt the quote is intended to address the perennial problem of clutter. An encouraging thought and a direction to take for the popular past time of de-cluttering and its companion minimalism in all its forms. But I’ll take this quote out of the external world and into the internal, reflective realm of meditation and contemplation. 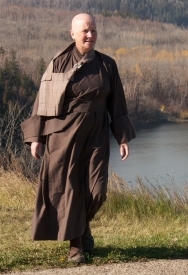 Both formal zazen and everyday meditation. Yes obviously it is necessary to organise our thoughts and feelings, to get our ducks in a row for all sorts of practical reasons. However I’d like to suggest that its worth questioning oneself as to just HOW necessary it is. For what purpose? Truthfully. Yes sometimes posts here can disturb and be thought-provoking with little offered in terms of answers. I’d like to suggest that it is the disturbance itself rather than the thoughts provoked which can be usefully ‘let go of’. Just a thought. Quickly forget those Jade Mountains posts! Come back soon. Letting go of the letting go? 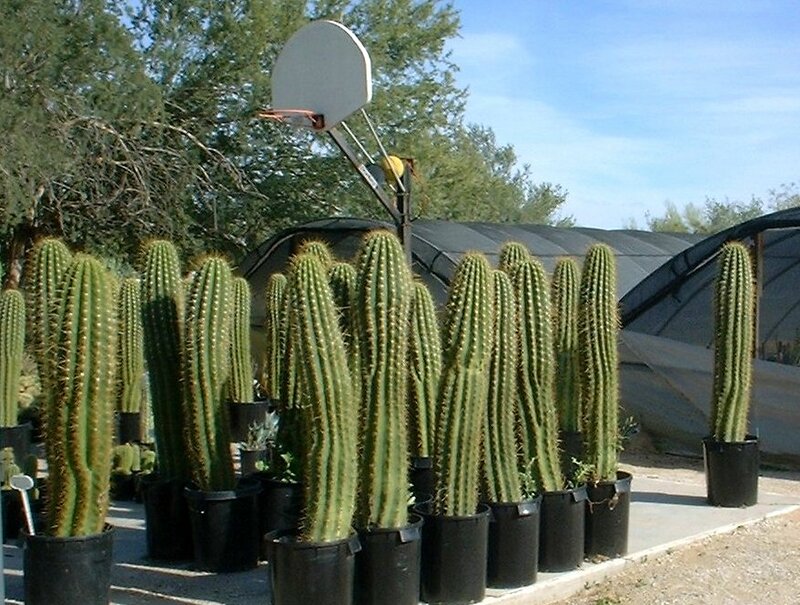 Those cacti are so patiently waiting for a slam-dunk…. Glad you saw that Shelley. This picture taken in 2001 in Tucson Arizona has always tickled me. I had wondered if anybody else saw what I saw. I’m particularly please to have this comment confirming it’s not just me who sees them prickly players getting ready to jump.